Nobody breaks me out of a reading funk—that feeling of vague dissatisfaction and the inability to find anything you really want to read despite having books piled around you—better than Lawrence Block. I found myself edging in the direction of a funk the other day, and what should come along just in time but THE CRIME OF OUR LIVES, Block's new non-fiction collection. Ed Gorman likes to say that Lawrence Block writes the best sentences in the business. Ed is no slouch in that area himself, and I think a lot of writers, myself included, come up with some pretty good sentences here and there. But Ed's right, no one makes it look as effortless as Block, and no one can do it anywhere near as consistently, either. 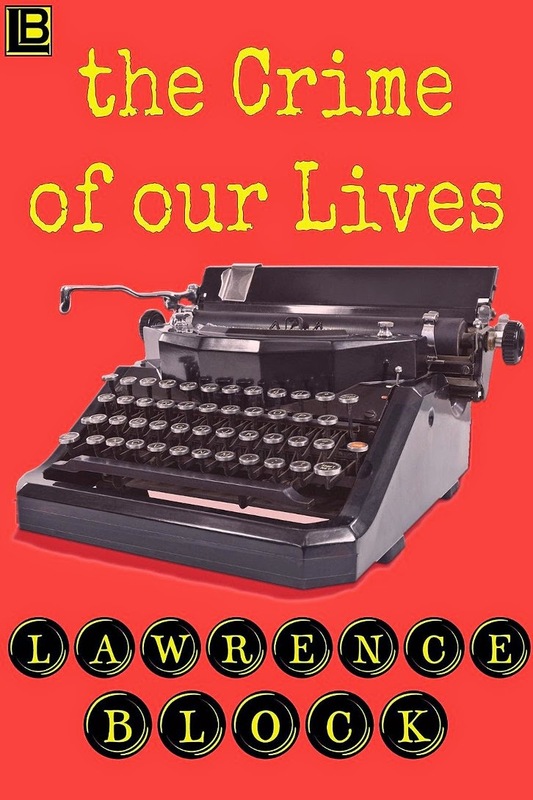 THE CRIME OF OUR LIVES is a collection of essays and introductions to various books, a few autobiographical but mostly about other authors of crime and mystery fiction. Some of the writers Block talks about are Dashiell Hammett, Raymond Chandler, Donald Westlake, Evan Hunter, Robert B. Parker, Mary Higgins Clark, Ross Thomas, Jim Thompson, Charles Willeford, and Mickey Spillane. (I use the phrase "talks about" deliberately, because in many ways reading this book is like sitting down and having an entertaining, informative conversation with Block.) Other sections are devoted to authors who maybe aren't as well-known these days, such as Frederic Brown, and some who are almost forgotten, for example Henry Kane. There are also several pieces about Scott Meredith and his literary agency where Block was first an employee and then a client. Lawrence Block knows where this story is going, and you probably do, too. I sent the manuscript off, along with a check, and got a letter back a couple of weeks later, a detailed letter several pages long, telling me how my book was good, but just not quite good enough, and the problems it had were too ingrained to be overcome, so I'd be well-advised to start over and write another book, and if I did, and sent it in with another couple of hundred bucks, I stood a good chance of breaking in and becoming a client of the Scott Meredith Literary Agency. And it was signed by the man himself, the same guy whose name I'd seen in all those novels I'd read! I've gotten far off track from the purpose of this post, which is to tell you just how enjoyable THE CRIME OF OUR LIVES is and how it's one of the best books I've read so far this year. You won't find a better collection about mystery fiction and the people who write it. This one gets my highest recommendation. I am a huge fan. Love the Burgler books. Todd, really? That is absolutely cool! I thought maybe Barry Malzberg did (which would have also been cool), but I wasn't sure when he worked at SMLA. I love the Internet. I believe it's chronologically though not too statistically possible that Barry wrote your letter, since I think he was in and out the door at SMLA at various points in the '70s...but he could certainly pin down the dates if you ask him...possibly even dig out the file and tell you exactly who, though that might be tough or impossible at this point.